This contract sets out your rights and responsibilities when you use MasonJars.com, navigate through our websites, make purchases through our websites, use our blogs or social media services, or make use of any of the services provided by MasonJars.com (collectively “Services”). By using any of our Services, you’re agreeing to the Terms. If you do not agree with the Terms, do not use the Site. Both MasonJars.com and Sellers process members’ personal information (such as: buyer name, email address, and shipping address) and are therefore considered separate and independent data controllers of buyers’ personal information. Each party is responsible for the personal information it processes in providing the Services. If a seller accidentally discloses a buyer’s name and email address when fulfilling another buyer’s order, the Seller, not MasonJars.com, will be responsible for the unauthorized disclosure. Sellers, Wholesalers, and Customers may promote and share blog post content, shops, products, and other content across Social Media channels. Wholesalers, and Customers enrolled in MakerPoints Rewards also can earn MakerPoints for sharing on Social Media. All content shared on social media by our Customers, Wholesalers, and Sellers is to be tasteful, positive, and friendly. Inappropriate, False, or Misleading Content. You agree that you will not post any content that is abusive, threatening, defamatory, obscene, vulgar, invasive of privacy, infringing of intellectual property rights, or is otherwise injurious to third parties or objectionable and does not consist of or contain software viruses, political campaigning, commercial solicitation, chain letters, mass mailings, any form of "spam", or is otherwise offensive or in violation of any of our policies on Social Media. You may not use a false e-mail address, impersonate any person or entity, or otherwise mislead as to the origin of a message or other content. We reserve the right (but not the obligation) to remove or edit such content, but we do not regularly review posted content. Use of Content. If you do post content or submit any material to us, and unless we indicate otherwise, you grant us a nonexclusive, royalty-free, perpetual, irrevocable, and fully sublicensable right to use, reproduce, modify, adapt, publish, translate, create derivative works from, distribute, and display such content throughout the world in any media. You grant MasonJars.com and its sublicensees the right to use the name that you submit in connection with such content, if they choose. You represent and warrant that you own or otherwise control all of the rights to the content that you post; that the content is accurate; that use of the content you supply does not violate this policy and will not cause injury to any person or entity; and that you will indemnify MasonJars.com for all claims resulting from content you supply. We reserve the right (but not the obligation) to monitor and edit or remove any activity or content. MasonJars.com takes no responsibility and assumes no liability for any content posted by you or any third party. Copyright Complaints. MasonJars.com respects the intellectual property of others. If you believe that your work has been copied in a way that constitutes copyright infringement, please follow the procedures for Making Claims of Copyright Infringement. Termination. Any user found to be sharing inappropriate, false, or misleading content on Social Media is subject to be terminated as a Customer, Wholesaler, or Seller. If termination occurs, the user forfeits any and all MakerPoints or other benefits provided by MasonJars.com. In the event of termination, Customers, Wholesalers, and Sellers are still responsible to pay their account balance in full. 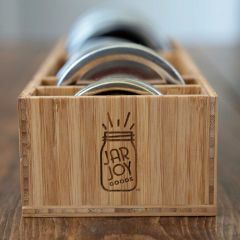 All content included in or made available through the Site, such as text, graphics, logos, button icons, images, books, digital downloads, and data compilations, is the property of MasonJars.com, Sellers, or Content Suppliers and protected by United States and international copyright laws. 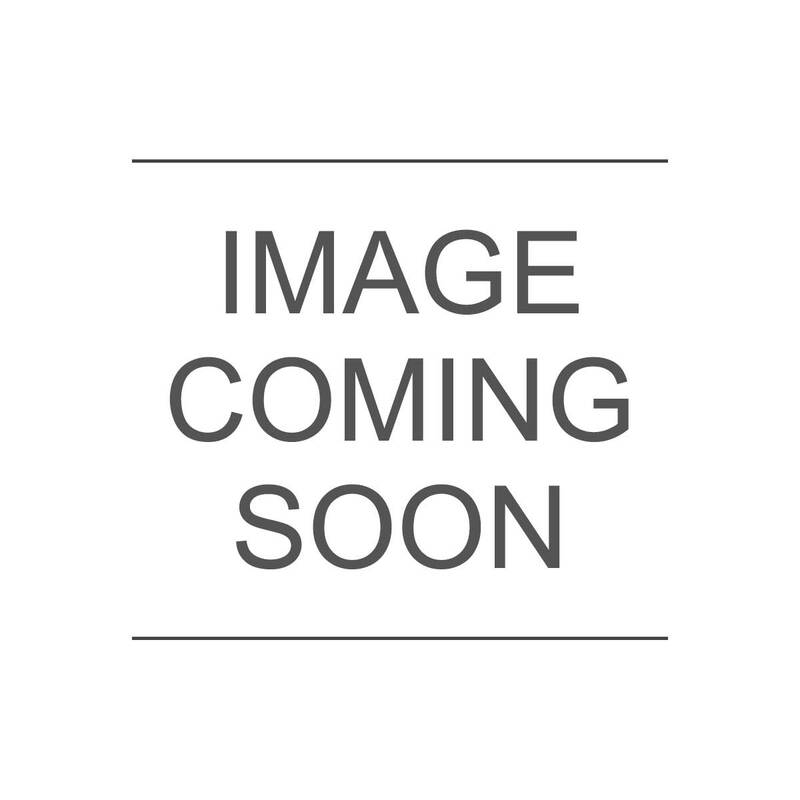 The compilation of all content accessible through the Site is the exclusive property of MasonJars.com and protected by U.S. and international copyright laws. MasonJars.com, MasonJars.com, and other graphics, logos, page headers, button icons, scripts, and service names included in or made available through the Sites are trademarks, registered trademarks or trade dress of MasonJars.com in the U.S. and other countries. MasonJars.com’s trademarks and trade dress may not be used in connection with any product or service that is not MasonJars.com's, in any manner that is likely to cause confusion among customers or in any manner that disparages or discredits MasonJars.com. You may not use any MasonJars.com logo or other proprietary graphic or trademark as part of a hyperlink without express written permission from MasonJars.com. All other trademarks not owned by MasonJars.com that appear in the Site are the property of their respective owners, who may or may not be affiliated with, connected to, or sponsored by MasonJars.com. Subject to your compliance with these Conditions of Use and your payment of any applicable fees, MasonJars.com, its Sellers, or its content providers grant you a limited, non-exclusive, non-transferable, non-sublicensable license to access and make personal and non-commercial use of the Site. This license does not include any resale or commercial use of the Site or its contents; any collection and use of any product listings, descriptions, or prices; any derivative use of the Site or its contents; any downloading or copying of account information for the benefit of another merchant; or any use of data mining, robots, or similar data gathering and extraction tools. You may not misuse the Site. You may use the Site only as permitted by law. The licenses granted by MasonJars.com terminate if you do not comply with these Conditions of Use. If you choose to access the Site, you do so on your own initiative and are responsible for compliance with local laws. Products made available on the Site may be subject to local laws and regulations and you are responsible to ensure that your use of the products are not in violation of those laws and regulations. As a registered user of the Site, you may receive or establish one or more passwords and accounts ("Account"). If you use the Site, you are responsible for maintaining the confidentiality of your Account(s) and for restricting access to your computer(s) or device(s), and you agree to accept responsibility for all activities that occur under any of your Accounts. MasonJars.com does sell products for children, but it sells them to adults, who can purchase with a credit card or other permitted payment method. If you are under 18, you may use the Site only with the involvement of a parent or guardian. MasonJars.com reserves the right to refuse service, terminate accounts, remove or edit content, or cancel orders in its sole discretion. MakerPoints Rewards is a loyalty program offered by MasonJars.com to its customers. These terms and conditions form the agreement (the “Agreement”) between each customer that participates in MakerPoints Rewards (referred to as a “Member”) and MasonJars.com and its participating affiliates and subsidiaries (collectively “Company”). 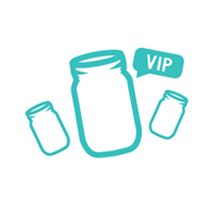 Participating in the Program entitles members (“Members”) to take advantage of certain Program rewards (“Rewards”) that may change from time to time and, which may be made available for limited times, all as determined by MasonJars.com in its sole discretion. MasonJars.com reserves the right to modify these MakerPoints Rewards Program Terms and Conditions at any time, without notice to you. By participating in MakerPoints Rewards, Member agrees to the terms and conditions, rules, regulations, policies, and procedures of the Program. Membership in the Program is free and no initial purchase is required. Membership is required at the time of purchase to receive MakerPoints for that purchase. When purchasing items Member may choose to either redeem earned MakerPoints or continue saving MakerPoints to use on a future purchase. Upon redemption of MakerPoints, the points will immediately be deducted from Member’s account. MakerPoints may not be redeemed for cash, and are not transferable to any other individual or entity. MakerPoints cannot be earned on any portion of a transaction that is paid for using store credit. MakerPoints redeemed for physical products do not apply to shipping costs on those products. Member is responsible for paying for shipping. Once MakerPoints are redeemed, points cannot be credited back to Member’s account. MasonJars.com reserves the right to disqualify Members who have violated any of the Program terms and conditions. MasonJars.com reserves the right to cancel any membership for which it has incomplete, inaccurate, false or fictitious personal information. In the event that MasonJars.com terminates the Program or your membership in the Program for any reason, all MakerPoints earned on your account will be forfeited. Inactivity: If a rewards member does not earn MakerPoints or redeem MakerPoints for 12 consecutive calendar months, the membership will be deemed to be inactive and all accumulated MakerPoints will be forfeited. By participating in the Program, Member agrees to allow Company to communicate via mail, email, phone, external websites and various other channels. Company may use these channels to communicate Member account status, notify Member when they are eligible for a reward, communicate program changes, offer special Member promotions, coupons, information and offerings that are believed to be of interest to you. MasonJars.com gift cards are a gift card that can only be used to purchase goods and services at MasonJars.com. The Card is not a credit card, charge card or bank debit card and can only be used for the amount of funds loaded onto the card. The funds loaded on the Card are collected by MasonJars.com and deposited with and held by us in a pooled account with funds associated with other cards. You will not be paid or earn interest on the amount of the Card. Neither the Card nor funds loaded to the Card are insured by the Federal Deposit Insurance Corporation. The Card may be subject to deductions required by law, including deductions, if any, resulting from the escheat of Card funds under applicable state laws governing unclaimed property. You may not add any funds to the Card. Your ability to make purchases with the Card will end when the Card amount reaches zero. If you attempt to use the Card for a purchase amount that is greater than the amount on the Card, your transaction may be declined. However, if the purchase amount is greater than the amount on the Card, you may be permitted to pay the difference with alternative methods. You do not have the right to stop payment on any transaction originated by the use of the Card. Return policies for individual shops apply to your purchases, and any existing dispute processes apply. You will resolve disputes MasonJars.com on purchases made using the Card and returns thereof, and if you receive a refund relating to a Card transaction, you agree to accept a credit to the Card as the method of refund. Any credit to the Card may not be available for use by you for up to 10 business days. A credit to a zero balance Card will reinstate the Card. Unclaimed Funds – Escheat. If our records show that you have not used the Card within a time period set by state law, the amount remaining on the Card may become unclaimed property subject to escheat under state unclaimed property laws. If the amount remaining on the Card becomes unclaimed property subject to a state unclaimed property law, we will be required to escheat the available balance to the state in an amount and at the time required by the state law. At that time, you will lose the ability to use the Card. If escheat occurs, you may inquire about the status of the Card funds by emailing support@masonjars.com. Legal Transactions. You agree that you will only use the Card for transactions that are legal. You agree that we may decline transactions we believe may be illegal or in violation of the applicable network rules. You also agree that if we do not decline the transaction, we may charge the Card and we are not liable to you if you engage in an illegal transaction. Limitations on Use. You agree that a purchase made by you may not be authorized or settled by us unless it complies with this Agreement. The Card may be canceled, repossessed, locked or revoked at any time without prior notice. You may not use the Card to pay seller fees or purchase additional Gift Cards. Authorized Use of Card. If you authorize someone else to use the Card, you will be responsible for any transactions initiated by such person(s) with the Card even if you intended to limit that person’s use of the Card to a particular amount or particular time. You agree to safeguard the Card, and to report any suspected unauthorized use of the Card immediately by emailing support@masonjars.com. Email Address to be Notified in Event of a Lost or Stolen Card. If you believe that the Card has been lost or stolen: email support@masonjars.com. Subject to acceptable proof of Card ownership, we will make reasonable efforts to lock a lost or stolen Card from further use. If you notify us promptly of a lost or stolen Card and we are able to lock it from further use, you will not be liable for any further transactions associated with the lost or stolen Card. If you do post content or submit any material to us, and unless we indicate otherwise, you grant us a nonexclusive, royalty-free, perpetual, irrevocable, and fully sublicensable right to use, reproduce, modify, adapt, publish, translate, create derivative works from, distribute, and display such content throughout the world in any media. You grant MasonJars.com and its sublicensees the right to use the name that you submit in connection with such content, if they choose. You represent and warrant that you own or otherwise control all of the rights to the content that you post; that the content is accurate; that use of the content you supply does not violate this policy and will not cause injury to any person or entity; and that you will indemnify MasonJars.com for all claims resulting from content you supply. We reserve the right (but not the obligation) to monitor and edit or remove any activity or content. MasonJars.com takes no responsibility and assumes no liability for any content posted by you or any third party. Termination By You. You may terminate your account with MasonJars.com at any time from your account settings. Terminating your account will not affect the availability of some of Your Content that you posted through the Services prior to termination. You are still liable to pay any outstanding bills. Termination By MasonJars.com. We may terminate or suspend your account (and any related accounts) and your access to the Services at any time, for any reason, and without advance notice. If we do so, it’s important to understand that you don’t have a contractual or legal right to continue to use our Services, for example, to sell or buy on our Site. MasonJars.com may refuse service to anyone, at any time, for any reason. If you or MasonJars.com terminate your account, you may lose any information associated with your account, including Your Content. We May Discontinue the Services. MasonJars.com reserves the right to change, suspend, or discontinue any of the Services at any time, for any reason. We will not be liable to you for the effect that any changes to the Services may have on you, including your income or your ability to generate revenue through the Services. THE SITES, AND ALL INFORMATION, CONTENT, MATERIALS, PRODUCTS, AND OTHER SERVICES INCLUDED ON OR OTHERWISE MADE AVAILABLE TO YOU THROUGH THE SITES ARE PROVIDED ON AN "AS IS" AND "AS AVAILABLE" BASIS, UNLESS OTHERWISE SPECIFIED IN WRITING. WE MAKE NO REPRESENTATIONS OR WARRANTIES OF ANY KIND, EXPRESS OR IMPLIED, AS TO THE OPERATION OF THE SITES, AND ALL INFORMATION, CONTENT, MATERIALS, PRODUCTS, AND OTHER SERVICES INCLUDED ON OR OTHERWISE MADE AVAILABLE TO YOU THROUGH THE SITES, UNLESS OTHERWISE SPECIFIED IN WRITING. YOU EXPRESSLY AGREE THAT YOUR USE OF THE SITES IS AT YOUR SOLE RISK. TO THE FULL EXTENT PERMISSIBLE BY APPLICABLE LAW, MasonJars.com DISCLAIMS ALL WARRANTIES, EXPRESS OR IMPLIED, INCLUDING, BUT NOT LIMITED TO, IMPLIED WARRANTIES OF MERCHANTABILITY AND FITNESS FOR A PARTICULAR PURPOSE. MasonJars.com DOES NOT WARRANT THAT THE SITES, INFORMATION, CONTENT, MATERIALS, PRODUCTS, OR OTHER SERVICES INCLUDED ON OR OTHERWISE MADE AVAILABLE TO YOU THROUGH THE SITES OR ELECTRONIC COMMUNICATIONS SENT FROM THE SITES ARE FREE OF VIRUSES OR OTHER HARMFUL COMPONENTS. MasonJars.com WILL NOT BE LIABLE FOR ANY DAMAGES OF ANY KIND ARISING FROM THE USE OF THE SITES, OR FROM ANY INFORMATION, CONTENT, MATERIALS, PRODUCTS, OR OTHER SERVICES INCLUDED ON OR OTHERWISE MADE AVAILABLE TO YOU THROUGH THE SITES, INCLUDING, BUT NOT LIMITED TO DIRECT, INDIRECT, INCIDENTAL, PUNITIVE, OR CONSEQUENTIAL DAMAGES, UNLESS OTHERWISE SPECIFIED IN WRITING. If MasonJars.com gets sued because of something that you did, you agree to defend and indemnify us. That means you’ll defend MasonJars.com (including any of our employees) and hold us harmless from any legal claim or demand (including reasonable attorney’s fees) that arises from your actions, your use (or misuse) of our Services, your breach of the Terms, or your account’s infringement of someone else’s rights. If you find yourself in a dispute with another user of MasonJars.com’s Services or a third party, we encourage you to contact the other party and try to resolve the dispute amicably. Buyers and sellers who are unable to resolve a dispute related to a transaction on our Site may participate in our case system. MasonJars.com will attempt to help you resolve disputes in good faith and based solely on our interpretation of our policies, in our sole discretion; we will not make judgments regarding legal issues or claims. MasonJars.com has no obligation to resolve any disputes. You release MasonJars.com from any claims, demands, and damages arising out of disputes with other users or parties. Governing Law. The Terms are governed by the laws of the State of Pennsylvania, without regard to its conflict of laws rules, and the laws of the United States of America. These laws will apply no matter where in the world you live, but if you live outside of the United States, you may be entitled to the protection of the mandatory consumer protection provisions of your local consumer protection law. Arbitration. Any dispute or claim relating in any way to your use of the Sites will be resolved by binding arbitration, rather than in court, except that you may assert claims in small claims court if your claims qualify. The Federal Arbitration Act and federal arbitration law apply to this agreement. Costs of Arbitration. Payment for any and all reasonable AAA filing, administrative, and arbitrator fees will be in accordance with the Consumer Arbitration Rules. The parties shall bear their own fees and costs, including attorneys fees regardless of the outcome of any arbitration. Forum. MasonJars.com is based in Erie, Pennsylvania. Any legal action against MasonJars.com related to our Services must be filed and take place in Erie. That means the seat of any arbitration shall be Erie. For any actions not subject to arbitration, you (where your contract is with MasonJars.com.) and MasonJars.com agree to submit to the personal jurisdiction of a state court located in Erie County, Pennsylvania. Government Exception. If you are a government agent or entity in the United States using the Services in your official capacity, and you are legally unable to agree to the clauses in this section, then those clauses do not apply to you. In that case, the Terms and any action related to the Terms will be governed by the laws of the United States (without reference to conflict of laws) and, in the absence of federal law and to the extent permitted under federal law, the laws of the State of Pennsylvania. Modifications. If we make any changes to this “Disputes with MasonJars.com” section after the date you last accepted the Terms, those changes will not apply to any claims filed in a legal proceeding against MasonJars.com prior to the date the changes became effective. MasonJars.com will notify you of substantive changes to the “Disputes with MasonJars.com”. If you do not agree to the modified terms, you may send MasonJars.com a written notification (including email) or close your account. By rejecting a modified term or permanently closing your account, you agree to arbitrate any disputes between you and MasonJars.com in accordance with the provisions of this “Disputes with MasonJars.com” section as of the date you last accepted the Terms, including any changes made prior to your rejection. If you reopen your closed account or create a new account, you agree to be bound by the current version of the Terms. We reserve the right to make changes to the Sites, these Conditions of Use and any policies at any time. Your continued use of the Sites following any changes will indicate your acceptance of such changes. If you do not agree to a change, you must immediately stop using the Sites. If any policies or these Conditions of Use are deemed invalid, void, or for any reason unenforceable, that condition or policy shall be deemed severable and shall not affect the validity and enforceability of any remaining condition or policy. If you have any questions about the Terms, please email us at: contact@masonjars.com. Standard terms and conditions 9.19.17 - These terms are strictly enforced.